3 January 2017 – Epson announces new business projectors to offer impactful presentations around the office and on the move. 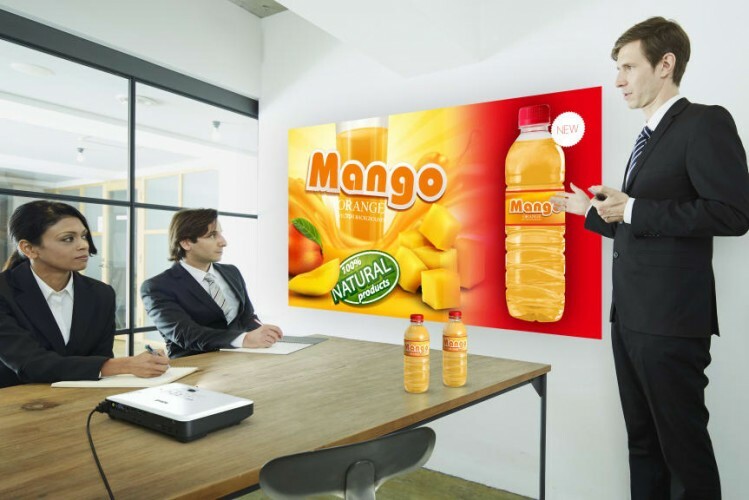 Designed for SMEs and corporates, the EB-1795F and EB-2265U deliver effective, high-quality Full HD presentations with large display sizes. They also take advantage of interactive and smart presenting features, such as gesture control and screen mirroring. First impressions count in business, and with the EB-1795F you can deliver impressive presentations to help you make your point, even when you’re out of the office. Its lightweight design and small form factor, that will easily fit into a laptop bag, make it ideal for elite sales staff and other frequent business travellers needing to present on the road. As you’d expect from the leading projector brand, this model has plenty of features that make it quick and easy to set up and present, including auto power on, auto source search, horizontal and vertical keystone correction, screen fit, and NFC to easily connect your device. Plus a variety of connectivity options, such as Wi-Fi, WiDi and screen mirroring, mean that you will be easily presenting from your chosen mobile device, laptop or even USB stick, in no time. Gesture controls make it easy to switch between slides with a swipe of your hand, and split screen means you can present from two sources simultaneously. The EB-2265U is part of a range that delivers bigger, better-quality business presentations on corporate, SME and educational premises delivering scalable screen size of up to 300 inches with a Full HD resolution. Set-up is hassle free thanks to focus help, Auto Power On, copy OSD settings, auto keystone correction and screen fit, as well as a variety of connectivity options such as HDBaseT and Wireless LAN, dual HDMI and screen mirroring. An increased lamp life of up to 10,000 hours in eco mode reduces maintenance times and servicing. Screen mirroring makes it easy to share content from devices, and Multi-PC projection software can support up to 50 PCs being connected to one device - Windows 10 and Mac compatibility. Epson’s iProjection App makes it even easier to share content from mobile devices in a bring your own device (BYOD) environment. Split-screen capability enables presenters to connect and present two sources on one display, and just like the EB-1795F, this model comes with gesture control to change slides with the swipe of a hand. There are a number of other models available in the same range as the EB-2265U. Please see the included comparison table to find out more. The EB-1780W, EB-1781W, EB-1785W and EB-1795F are available now. The EB-2265U, EB-2255U, EB-2250U, EB-2245U, EB-2165W, EB-2155W, EB-2140W,EB-2065, EB-2055 and EB-2040 are available now.